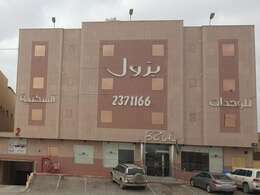 Ebtsamatac Center is located in Usamah Ibn Zaid Street, An Nasim Al Gharbi District, Riyadh. Ebtsamatac center for teeth, skin and laser is a medical center specializing in the treatment of diseases of the mouth, gums, teeth, skin and laser. It was established in 1997 to provide medical services in high standards in each specialty of oral medicine, dentistry, skin, laser and beauty, where the center includes specialized sections equipped with the latest medical technology and technical staff to treat diseases and problems of teeth and skin. The Center offers the best dental service through a good preparation of medical equipment, nursing and customer service staff. The center has the latest and best dental technology. Ebtsamatac Center aims to provide a distinctive medical service, and follow-up what's new in the field of dentistry and use the latest and best techniques.